NOTICE: THIS MOD IS DEPRECATED. Use "Gemling Queen Jewelry" instead of this, as she took my original idea here to the next level. I use her stuff instead of this now. 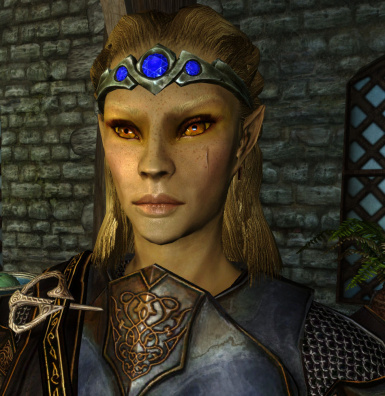 NOTE: This mod is depreciated by Saerileth's Gemling Queen Jewelry. I myself use that one as well. It's not a big deal for me either, since Saerileth based her technique off of mine here. 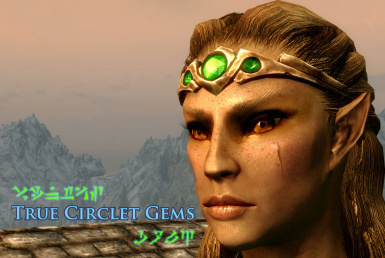 Circlet gems... What the heck is up with them? They just look like chunks of colored polished plastic. This mod aims to adapt the setup that the clutter gems use in order to make all circlets that have gems (not onyx or moonstones) uses it, in order to truly look like gems. As the lighting angles change, the flare within the gem will change with it. Additionally, the gems are no longer completely opaque, and also have an enviro reflection effect on them. 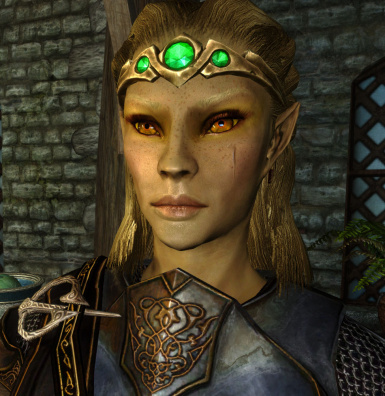 Circlets for all races are adapted, including the recently released corrective female elf circlet meshes that are part of Unofficial Skyrim Patch 2.0 (as I'm the one that made those meshes). The provided screenshots don't really do it justice. Unlike other circlet mods that attempt to solve the lack of gem flare by putting it directly into the diffuse texture, this mod will make the gem flare glisten as the position of lighting, gems, and camera POV change, on both the outer and inner surfaces of the gems; in essence, dynamic gem flare as opposed to baked-in-texture flare. This is a module-less mod, intended as a replacer. 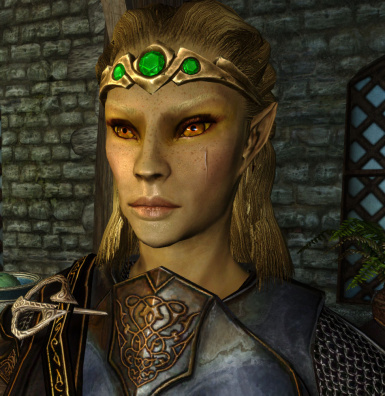 Install the enclosed Meshes folder into your Skyrim/Data directory. Say "yes" to any overwrites. 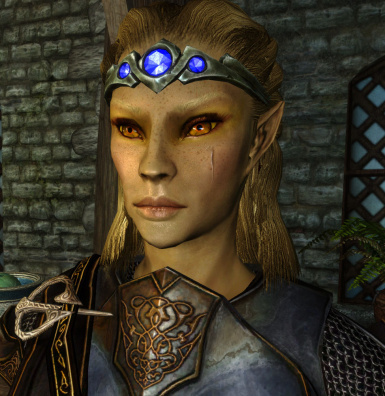 It *SHOULD* be compatible with all circlet retextures. 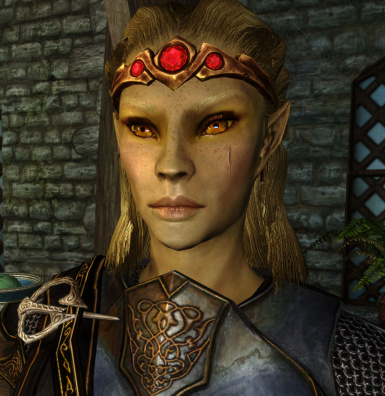 The other Readme linked here on Nexus and packed in the mod has obsolete information pertaining to retextures.